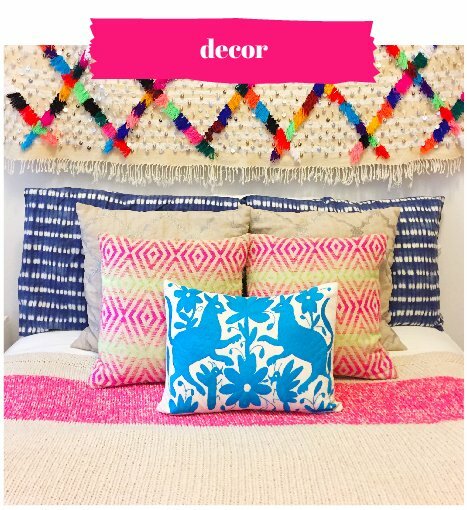 You guys I am SO excited to finally share this DIY with you! 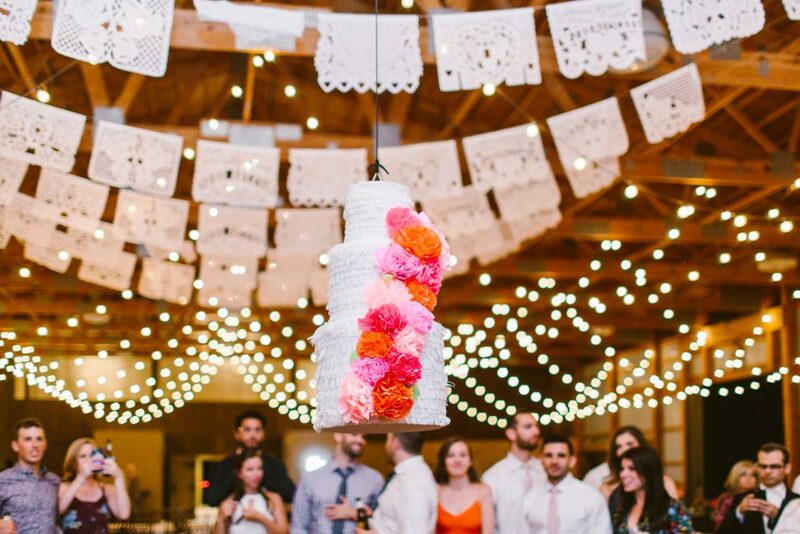 Now that our wedding post is live on Ruffled, I can finally spill the beans on all the details behind our wedding cake, which was not a cake at all but rather a PIÑATA!! 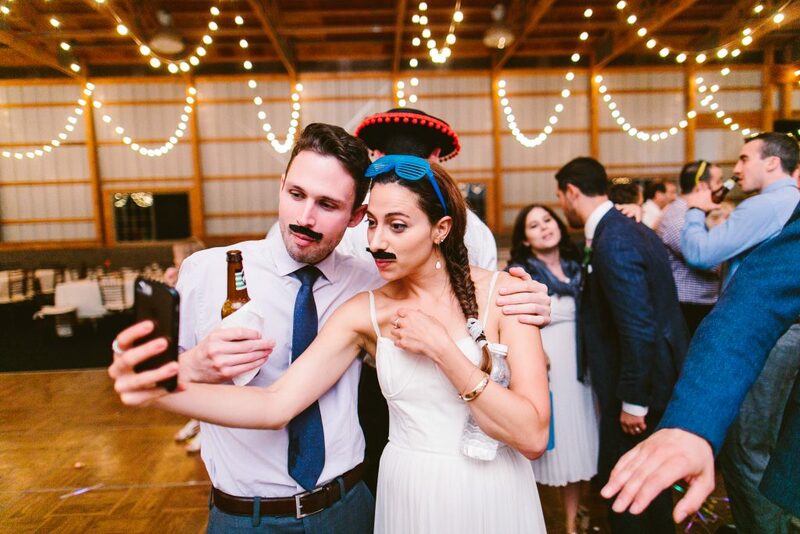 Looking for ways to cut costs, neither Sam nor I were that enthused about ordering a fancy wedding cake, though we did want to find a way to uphold the tradition. 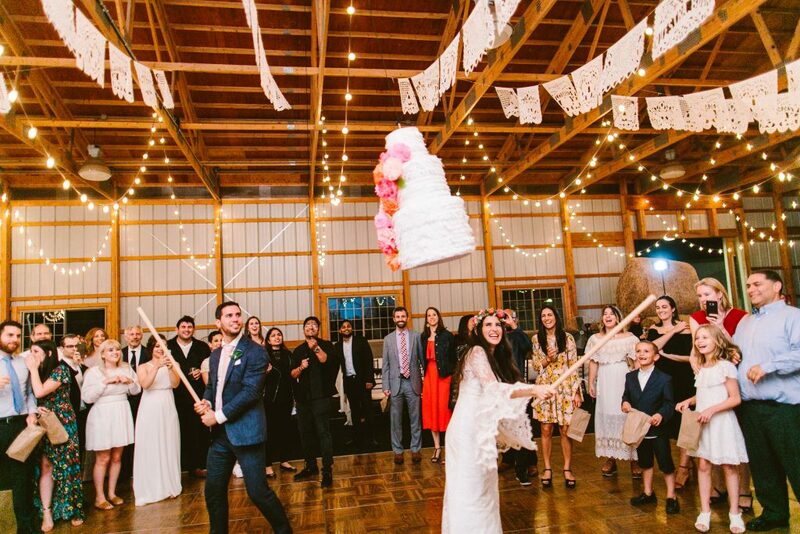 After seeing this wedding cake piñata all over the wedding internet last summer as we planned our final big day details, it was a no brainer for us to recreate this awesome idea and, of course, DIY it! 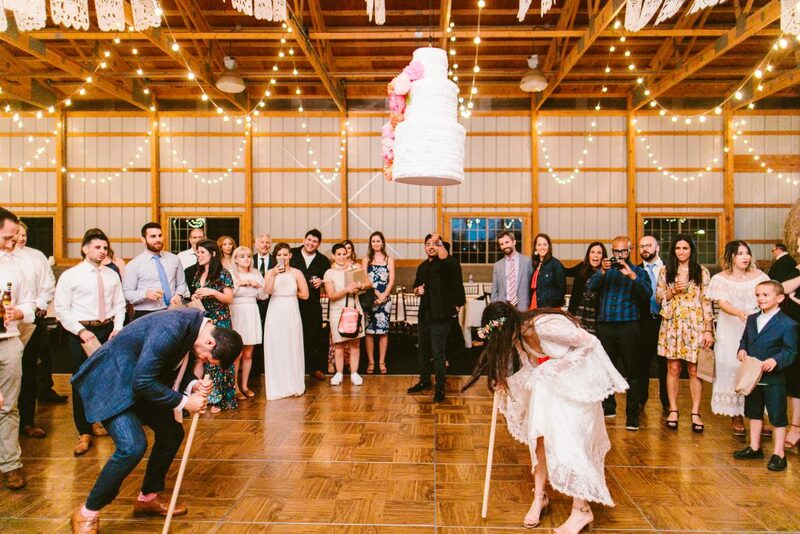 Needless to say, our piñata wedding cake was a smash hit. (Pun totally intended.) Breaking it open together and watching our guests dash for all the goodies inside was one of the highlights of the whole night. I’m still in shock about how well the piñata came out (granted after many hours of cutting and gluing!) and how perfectly it functioned hanging from the rafters of the barn at WoodsEdge Farm. 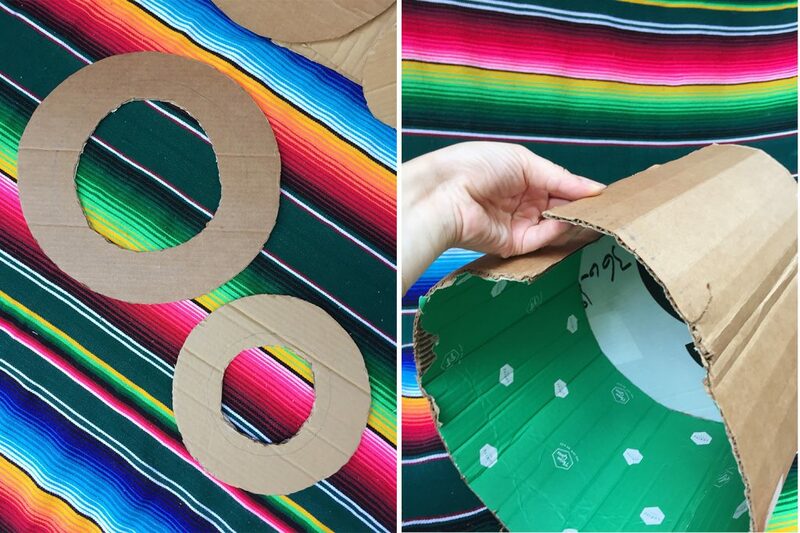 Start by cutting four circles from your cardboard box: one small, one medium and two large (exact same size). I traced my circles using three bowls in different sizes. The measurements don’t have to be exact to anything so long as the three circle graduate about the same amount from one size to the next. Once your circles are cut out, stack your small, medium and one large circle on top of each other and, using your pencil, trace the small circle onto the medium circle and the medium circle onto the large circle. 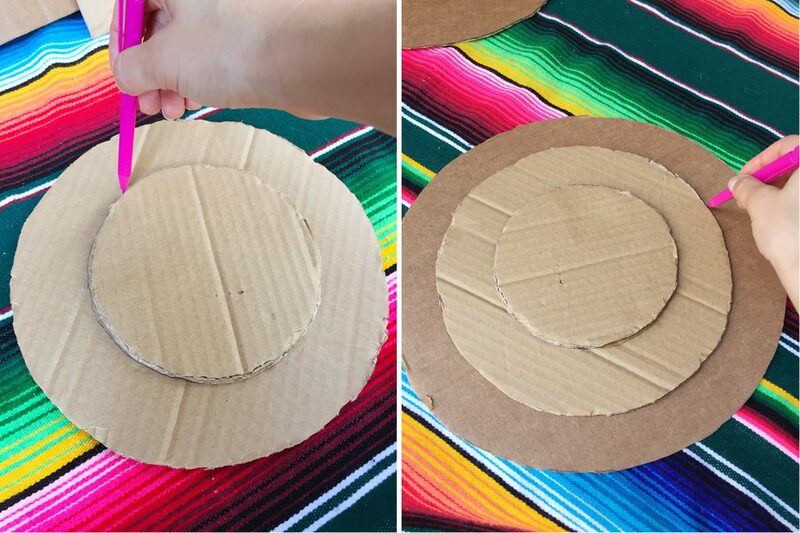 Cut out a round hole in the the medium and large cardboard circles making sure to leave at least 1/2″ of space from the pencil circle all the way around. 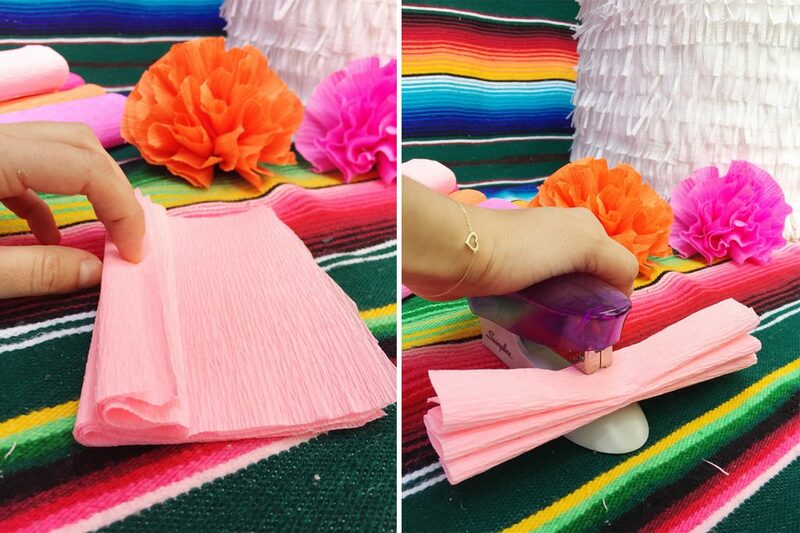 These holes will allow you to put candy in your piñata from the top and let it fall into the bottom. Next, cut the flaps off your box and use the center panels to be the walls of your cake. If your box is too tall, trim the panels to be about 10″ tall. Curve the panels into a circle, taping the bottom edge to the large circle without a hole as you go and finish by taping together the seam of the panel. 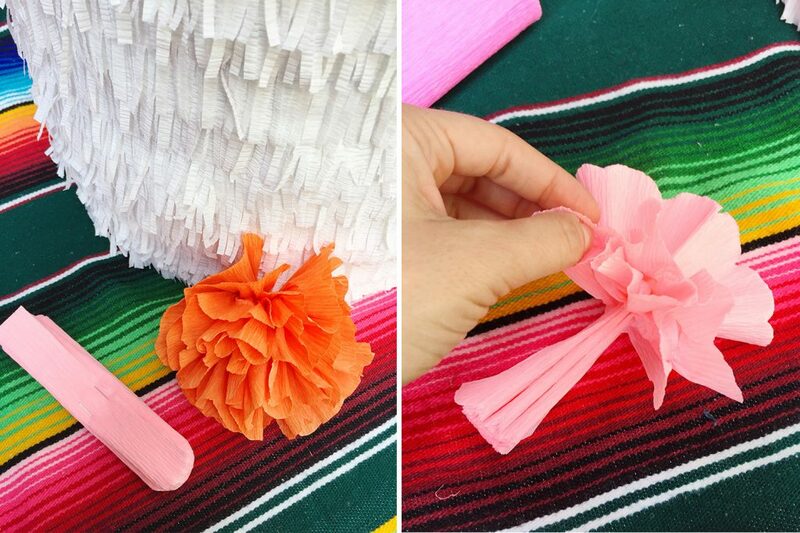 The bottom of your piñata should look like this! Next, tape the large circle with the hole to the top of this cake layer. 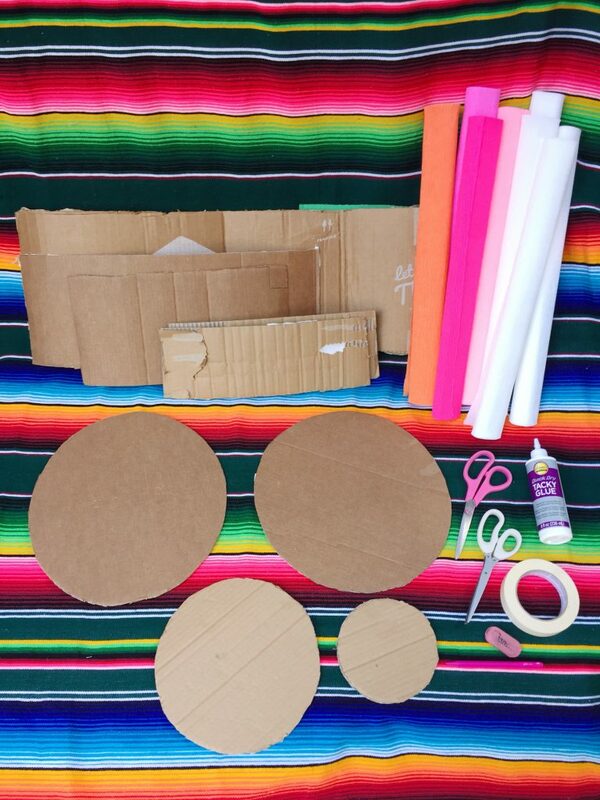 Repeat the process with your middle tier, taping a wide panel of cardboard to the medium circle. 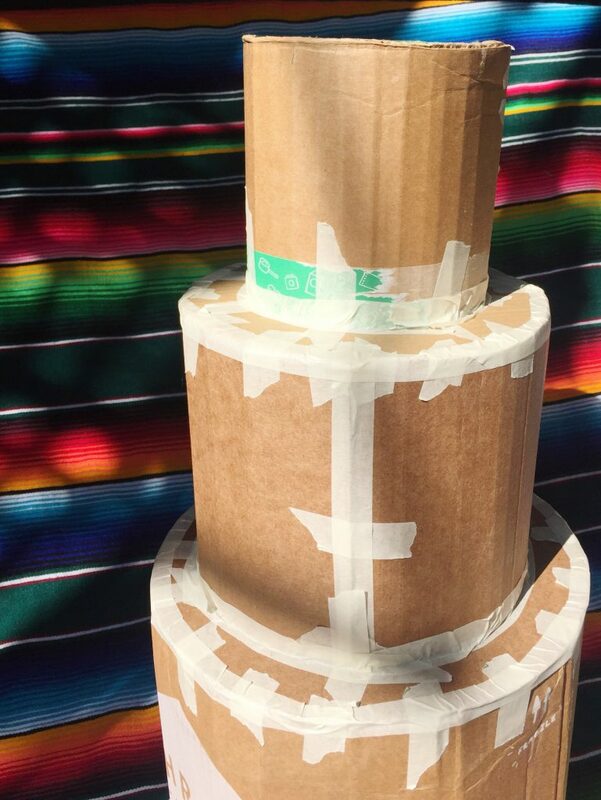 Use lots of tape to attach the middle tier to the bottom tier. Next, bend a smaller panel into a small, wide tube shape and tape the seam shut. This will be your top tier. 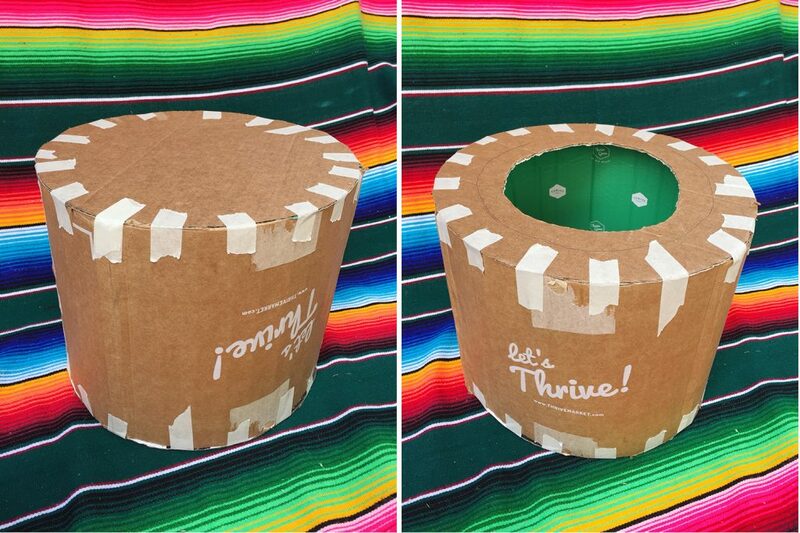 Use lots of tape to attach the top tier to the medium tier, leaving the top open for candy! Next, trim about a zillion 1.5″ strips of white crepe paper and use your fringe scissors to trim across each strip, trimming up to the center of the strip. You can layer a few strips at a time to make the process a bit faster. 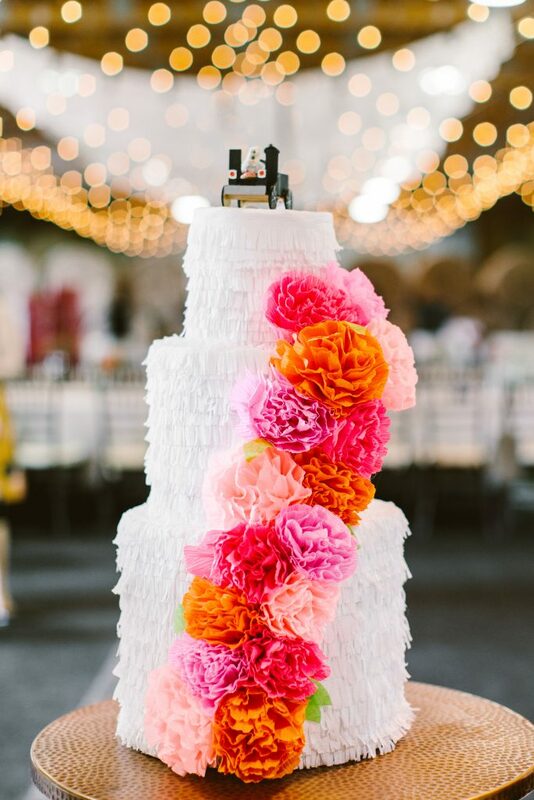 Once you’re stocked up on strips, glue a large sheet of crepe paper to the bottom of the cake. Next, starting from the bottom glue layer by layer of fringe. Warning: this is going to be quite time consuming. It probably took me a total of four or five hours to glue on all the fringe, so make sure to give yourself plenty of time for this step. 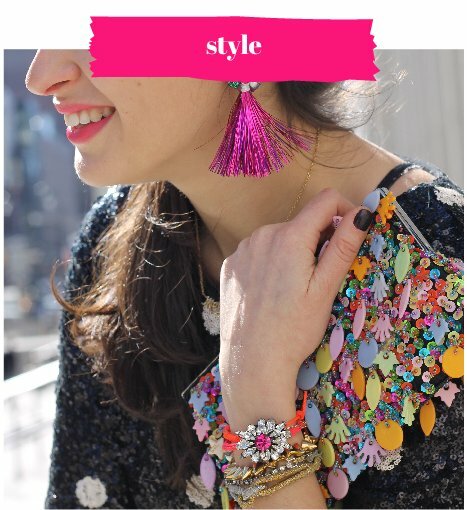 Be sure to stop adding layers once you get close to the top of the third tier. 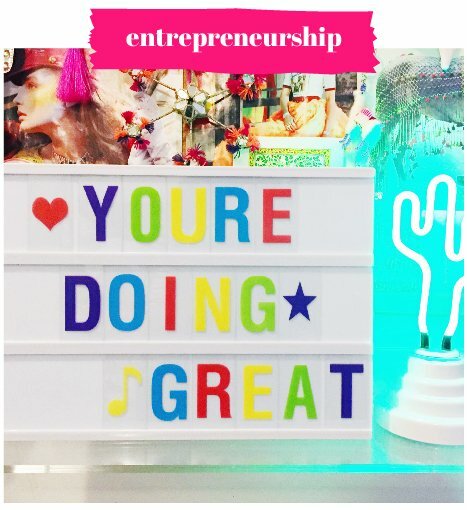 Now, add your candy and party favors!! Our piñata contained glow sticks, goofy sunglasses, confetti poppers, stick-on mustaches, non-chocolate candy (didn’t want it to melt! ), and bubbles. 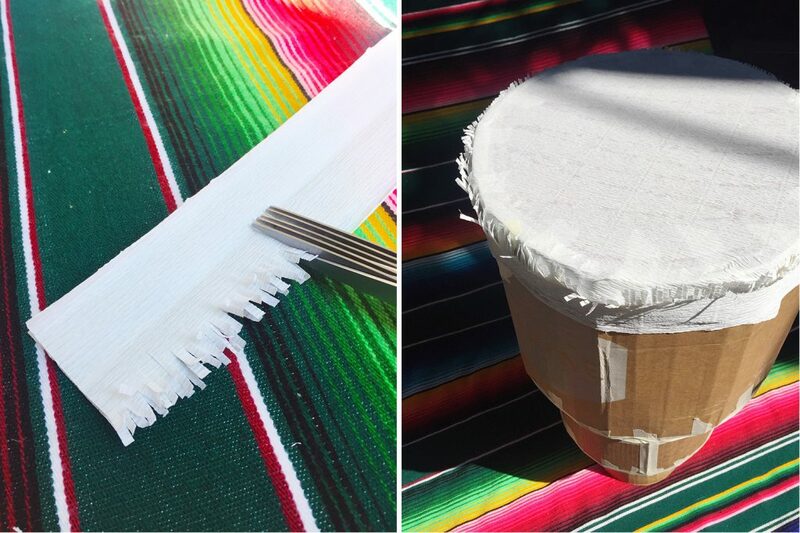 Before you tape the small circle to close up the top, you’ll want to add a rope or zip tie to it in order to hang your piñata. 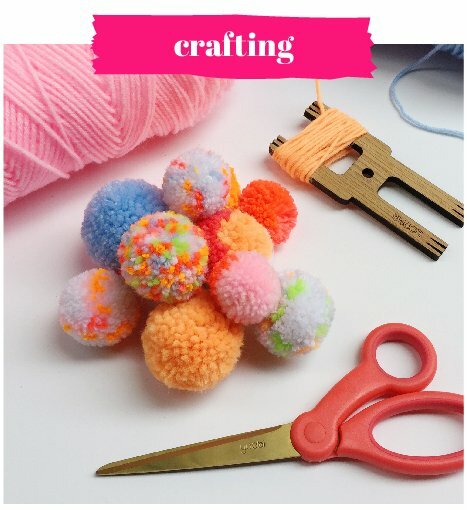 You can do this by poking two holes into the small circle and then tying the rope or fastening the zip tie through those holes creating a loop. 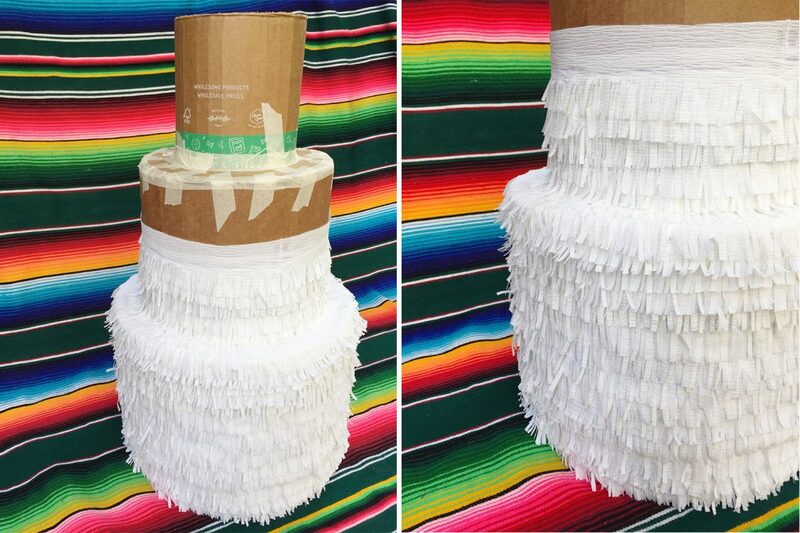 The closer the loop is the cardboard circle (as in not having too much slack), the sturdier the piñata will be when it’s hung. 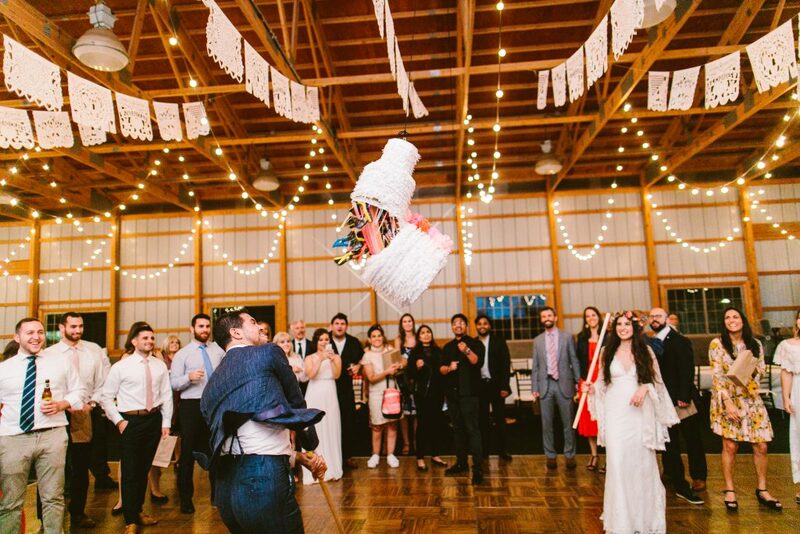 Also make sure the holes aren’t too close to each other so they don’t tear and become one large hole under the weight of the piñata. 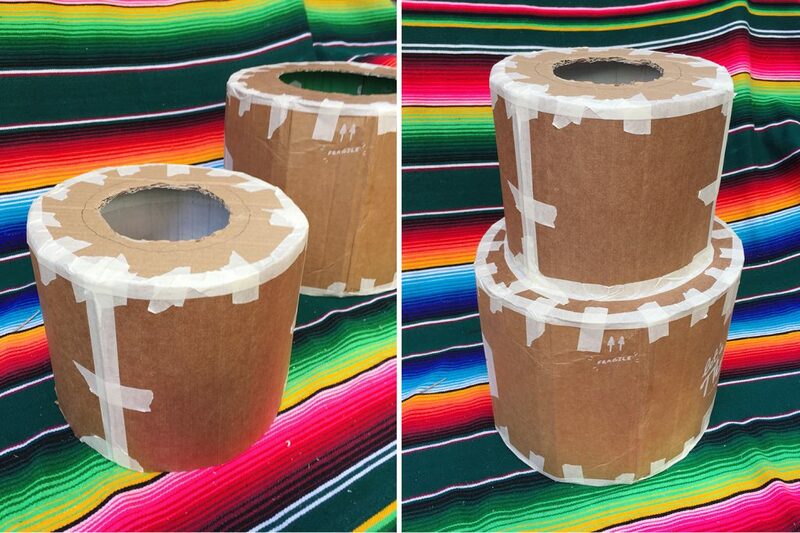 Now, go ahead and tape on the small circle very securely. 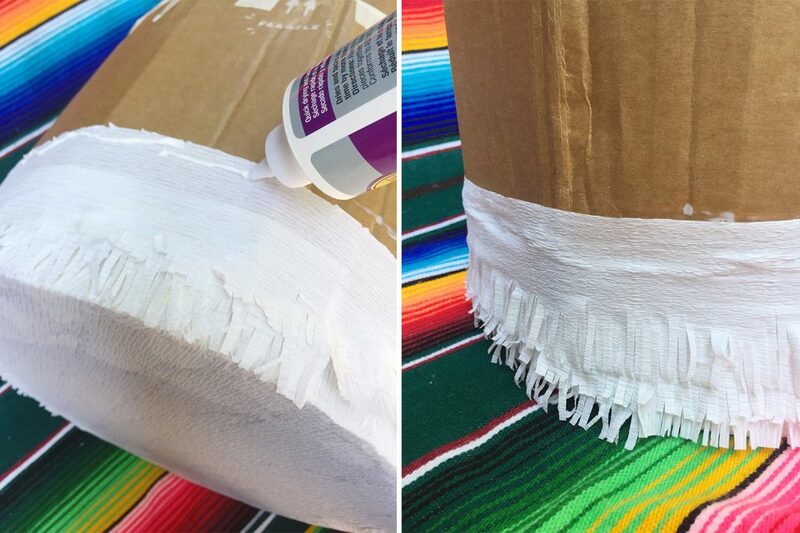 Cover the top with solid sheets of white crepe paper (you may want a couple layers for a clean finish) and add any last fringe layers to the sides of the tier. The final touch are the crepe paper flowers. There are plenty of tutorial online for how to make paper flowers that resemble all sorts of real flowers, but I’ll show you how I made mine. 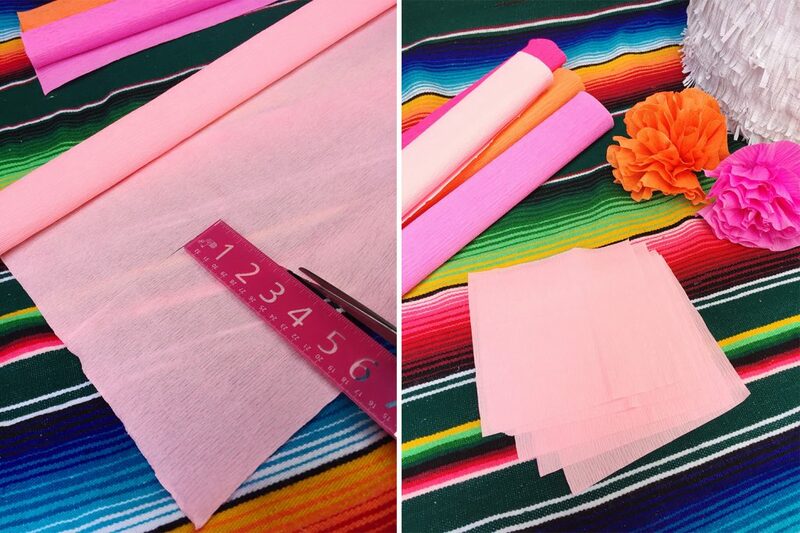 Cut 6″ squares from your tissue. (I used three shades of pink and one orange.) Layer five squares on top of each other and fold them accordion style. Staple in the center a few times. If you’re using the same thick crepe paper as me, use the strongest stapler and staples you have! 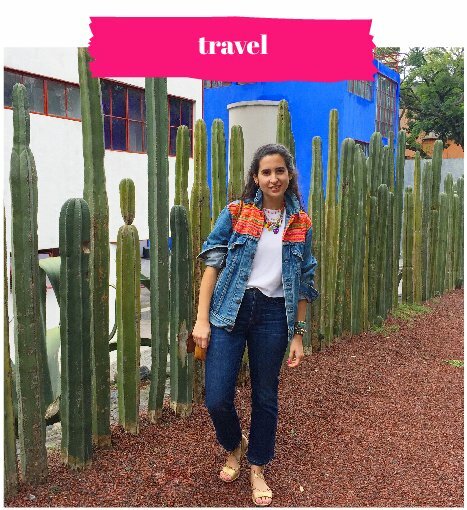 Next, use your scissors to round the edges of your accordion strips. 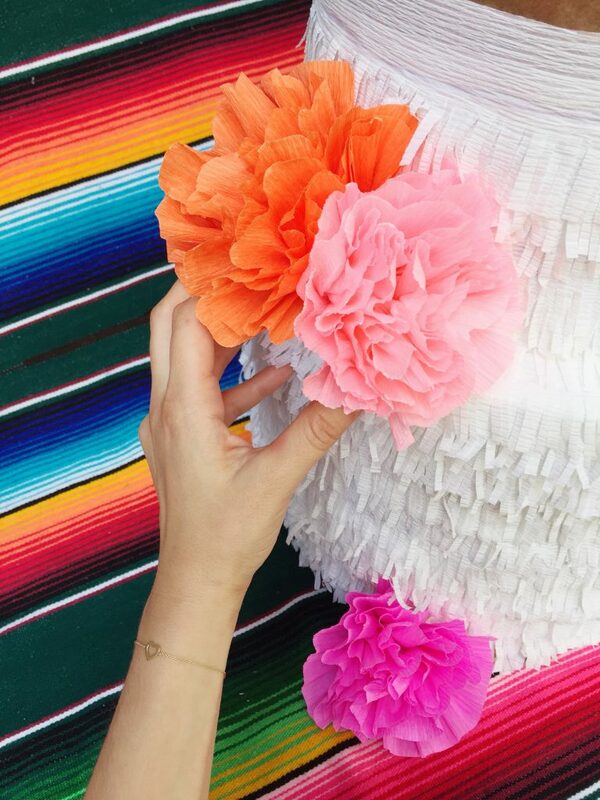 This makes gorgeous petals. Gently peel each layer up to the center one at a time, forming a flower! 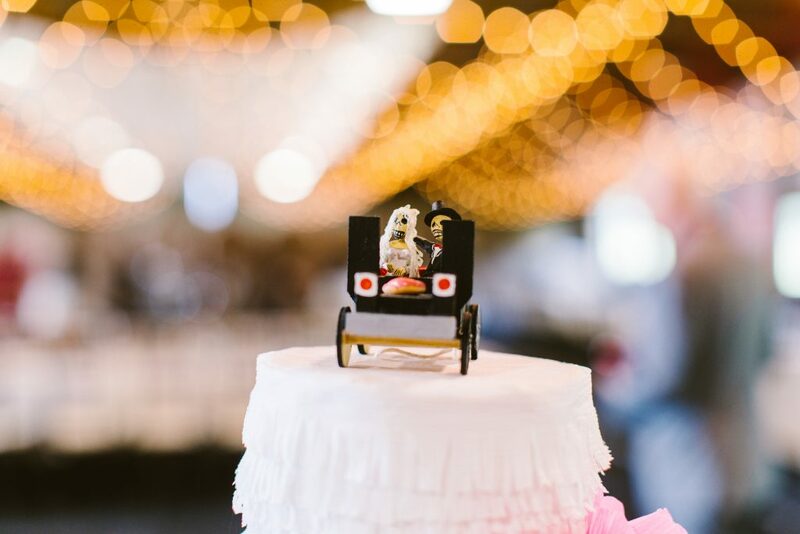 Finally, plan your design and, using a glue gun, glue your paper flowers onto your cake! I also last minute added little green crepe paper leaves in between the flowers, which you can see below. 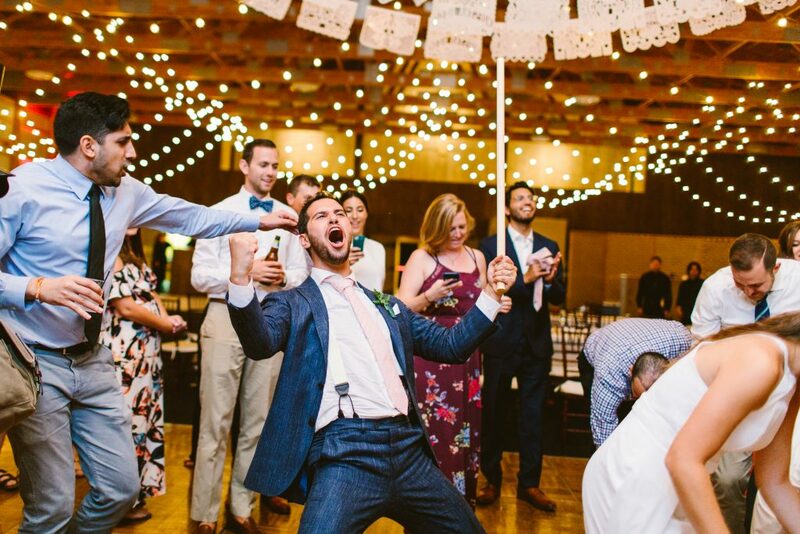 Special thanks to Redfield Photography for perfectly capturing this epic moment we’ll never forget! 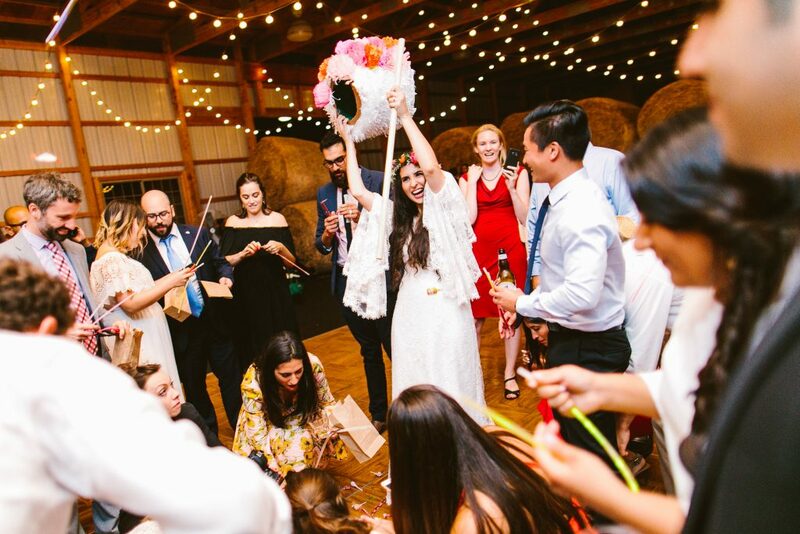 Don’t forget you can find more wedding details on our Ruffled post, and be sure to check out our other wedding DIY: Lace Wedding Dreamcatchers.